Police said the sisters worked at Saxe Middle School and New Canaan High School. 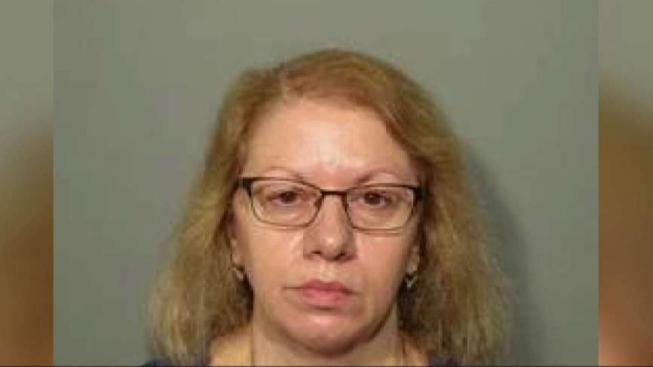 Two sisters, who are both lunch ladies, are accused of stealing nearly $500,000 from the New Canaan School District. Two sisters who worked in the cafeterias of two New Canaan schools are accused of stealing nearly half a million dollars from the cafeterias over a five-year span, according to New Canaan police. Police arrested 67-year-old Marie Wilson, of Wilton, and 61-year-old Joanne Pascarelli, of Stratford, over the weekend. The investigation started on Dec. 21 when the New Canaan Board of Education filed a complaint with the New Canaan Police Investigative Section about the handling of cash at the Saxe Middle School cafeteria and the New Canaan High School cafeteria, according to police. Investigators monitored both cafeterias, conducted around 20 interviews, examined financial records and identified the two suspects, police said. Pascarelli worked in the Saxe Middle School cafeteria while Wilson worked in the New Canaan High School cafeteria. They are accused of stealing $478,588 between 2012 and 2017, according to police. Board of Education officials did not reply to a request for comment from The Associated Press. The arrest warrant application for Wilson said the thefts could have been going on for up to 15 years, but investigators focused on the five-year span at the direction by the state’s attorney’s office because of the statutes of limitation. Both sisters were charged with larceny in the first degree-defrauding a public community. An attorney for Wilson says she is innocent and is "not going to be scapegoated." The sisters have been released after each posted a $50,000 bond. Wilson is due in court on Aug. 21 while Pascarelli is due in court on Aug. 24.